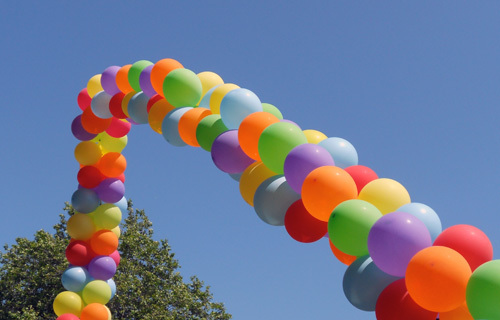 Today we celebrated Pride with the Annual Pride Parade and Festival. Both events were huge this year and the weather was perfect for them. I’m proud to live in a community where diversity and love can find respect and be celebrated. All the colours of the rainbow; diversity, courage, empowerment, love. 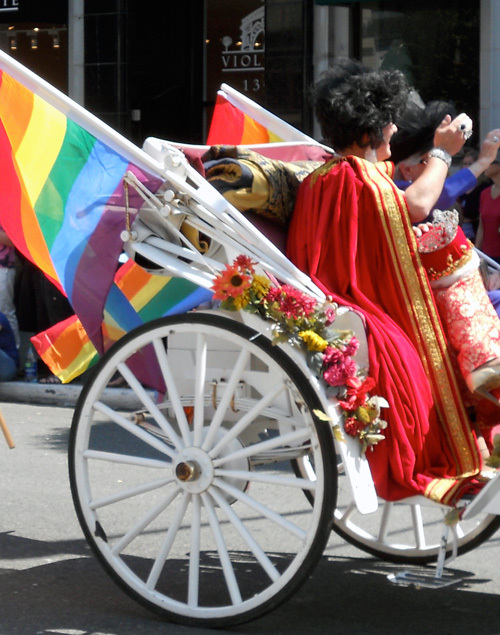 Rainbow colours make their way down Government Street towards the festival site in James Bay. 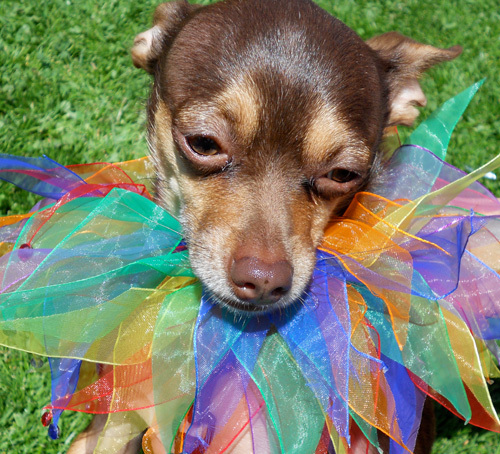 Pride pup at the festival! 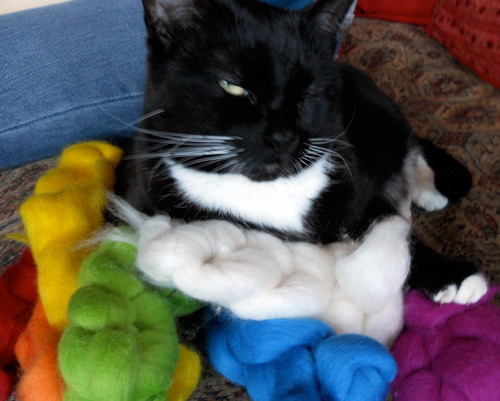 TC gets into the spirit with the rainbow wool. Wink!